Members of the legendary Swedish pop group Abba are considering a reunion to mark the 40th anniversary of the release of Waterloo, the band's first hit. Agnetha Faltskog, who formed Abba in 1972 with guitarist and songwriter Bjorn Ulvaeus, told a German newspaper that it was one of the options being mulled by the group. "Of course it's something we're thinking about," 63-year-old Faltskog told the weekly Welt am Sonntag. "There seem to be plans to do something to mark this anniversary in some way. But I can't say at this point what will come of them." She admitted that the fact all four band members were getting older made it increasingly difficult to get back together. "I cannot imagine that we would go on stage with crutches," she said. Faltskog released a solo album - which included a duet with Gary Barlow - in May after nine years away from the music industry. Waterloo propelled the group to Eurovision success in Brighton in 1974 and they subsequently became one of the world's best-selling pop bands with a string of number one hits, including Mamma Mia, Dancing Queen and Super Trouper. The band, whose last album The Visitors appeared in 1982, sold more than 380 million records worldwide and were inducted into the Rock and Roll Hall of Fame in 2010. 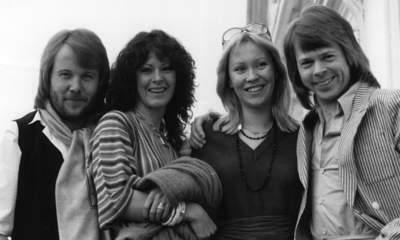 Although they never officially broke up, Abba drifted apart in the early 80s after Faltskog and Ulvaeus divorced. The band's two other members Benny Andersson and Anni-Frid Lyngstad were also married for a time. Ulvaeus ruled out any chance of a stage comeback when he announced plans for an Abba museum in October 2012. "We are the only group of that status that has never been reunited. I think that is cool," the 67-year-old said. "It is a strength for Abba that you remember those young, ambitious, energetic people during the 70s rather than some feeble old folks who feel compelled to get up and play all the time."